Security Jobs are the Highest demanded jobs in UAE. 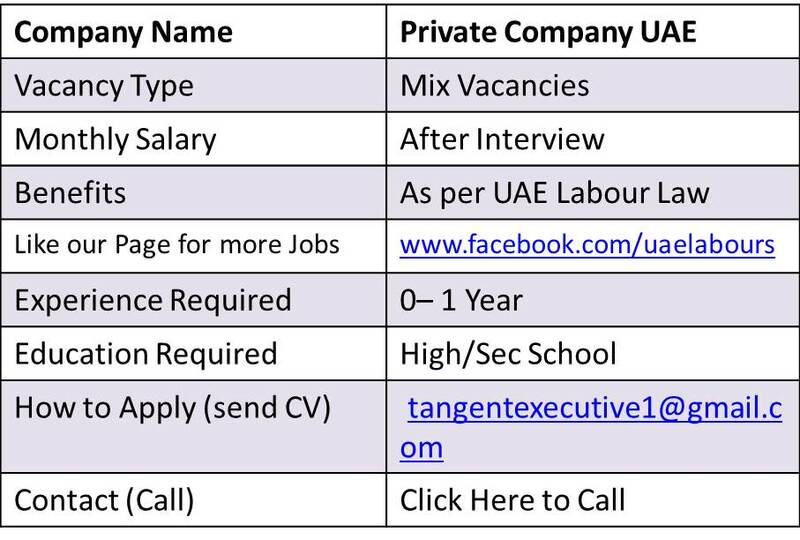 A Famous Company in UAE is required Following Staff from Asian countries and from Arabic Countries for Dubai. Salary Dhs. 1500 for Indian / Pakistan or Nepali National /+ Accomodation(Home town experience is fine. 2: Salary Dhs. 1800 is for Egyptian / Arab National O+ Accommodation. Salary Dhs. 1500 + Accommodation. Candidate should be Join immediately. Interested applicants can Send their CV on below provided E-Mail. If you have the skills and experience which is required for Following Position, please forward your resume to below Email Address, or through provided Contact Number Shortlisted Candidates will receive confirmation email.